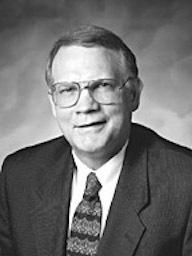 Richard H. Winkel served as a General Authority and member of the Second Quorum of the Seventy of The Church of Jesus Christ of Latter-day Saints from 1999 to 2006. As a young man he served as a missionary in Chile. He has also served as a Seminary teacher, Scout leader, bishop, high councilor, and stake president. He presided over the Spain Madrid Mission from 1994 to 1997. Winkel was born on May 17, 1942, in Oakland, California. He earned his bachelor’s degree in communications from Brigham Young University and his master’s degree in business administration from Pepperdine University. He was owner and president of Beaver Lumber Company—a company founded by his father—and Beaver Lumber, a mill in Arcata. He and his wife, Karen, are the parents of nine children. This page was last edited on 6 September 2017, at 13:43.